If you have a school or districtwide subscription and your administrator has set up SSO with G Suite for Education, you can import your Google Classroom rosters into My BrainPOP on demand. Note: Your Google domain super administrator must install and set up the SSO app for your domain before you can begin using Google Classroom rostering. The first time you log into BrainPOP from the G Suite SSO app, you will be prompted to import any Google Classroom rosters you may have. Importing creates corresponding classes in My BrainPOP and automatically sets up associated students with Google SSO. 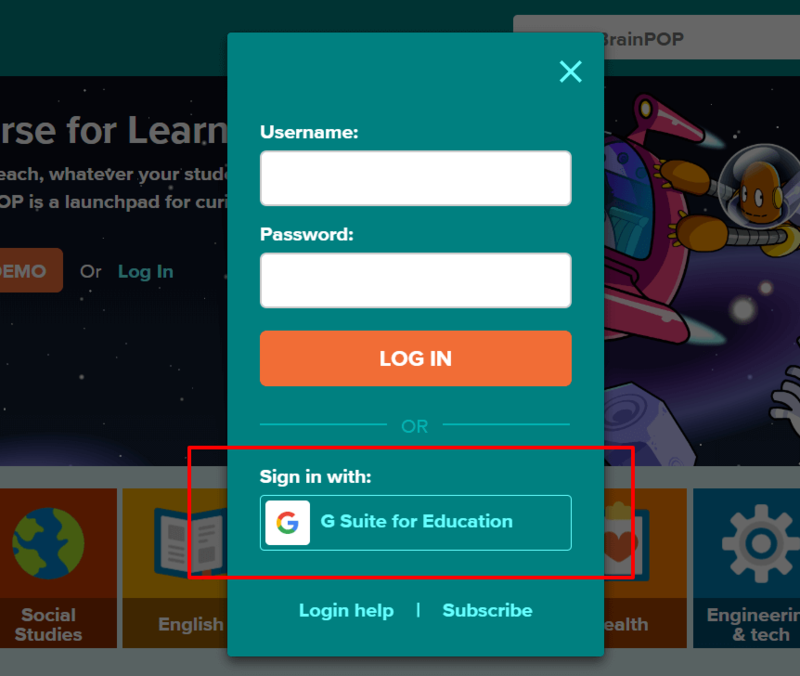 Sign into BrainPOP using G Suite for Education by clicking Sign in with G Suite for Education on BrainPOP, BrainPOP Jr, or BrainPOP ELL. 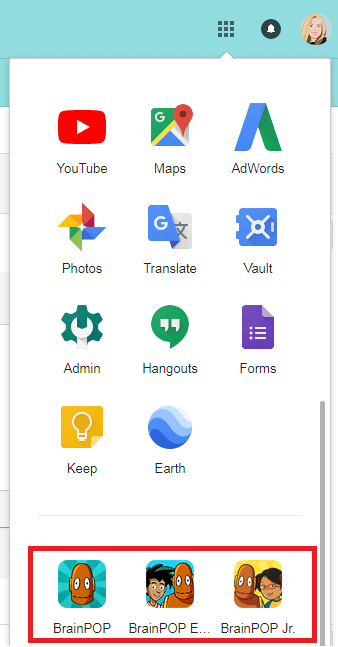 Alternatively, you can use the Google Launcher in Google Apps for all three sites. 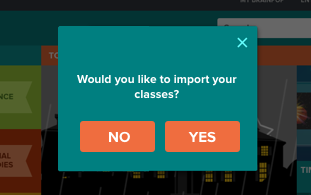 A dialog box invites you to import classes. Importing classes from Google Classroom will create corresponding classes in My BrainPOP and create SSO accounts for the students. If you decide not to import classes when prompted, you can always import them later by selecting Import New Class in My Classes. You can also find these instructions in the Importing Google Classroom Rosters Step Guide. 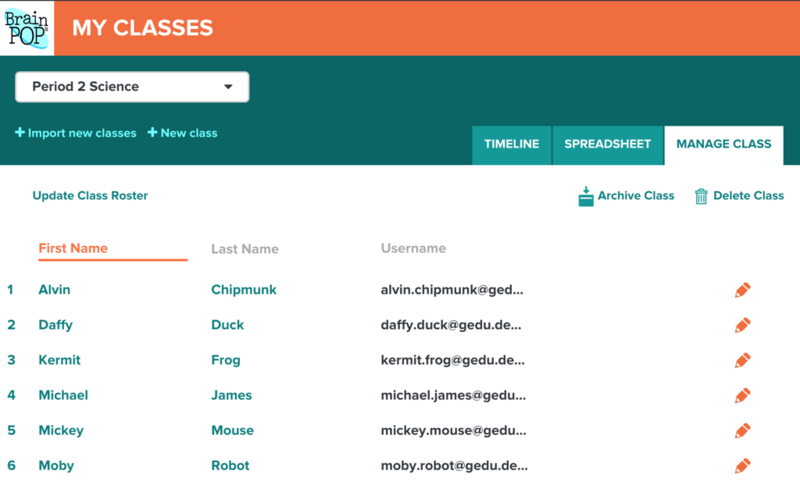 If your Google Classroom roster changes, you can update the corresponding My BrainPOP class at any time. Select the class you want to update, then click Manage Class. The option Update Class Roster will appear. Follow the on-screen instructions to re-import the class. 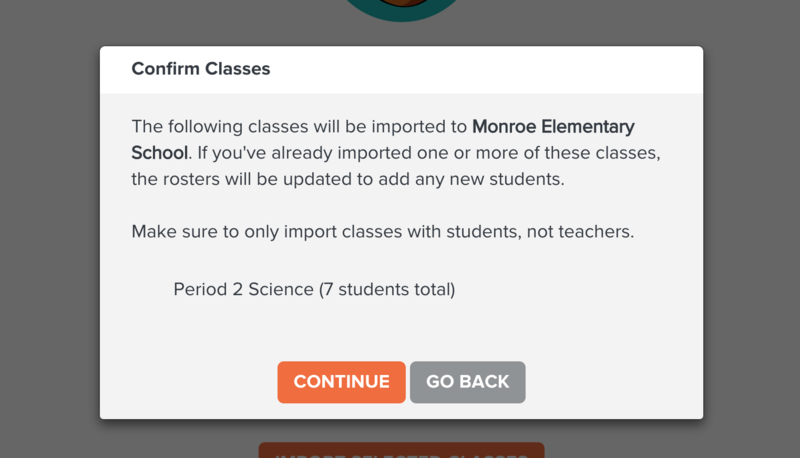 The new import will add any additional students that have joined your class since your last import or update. It will not remove any students from your class. 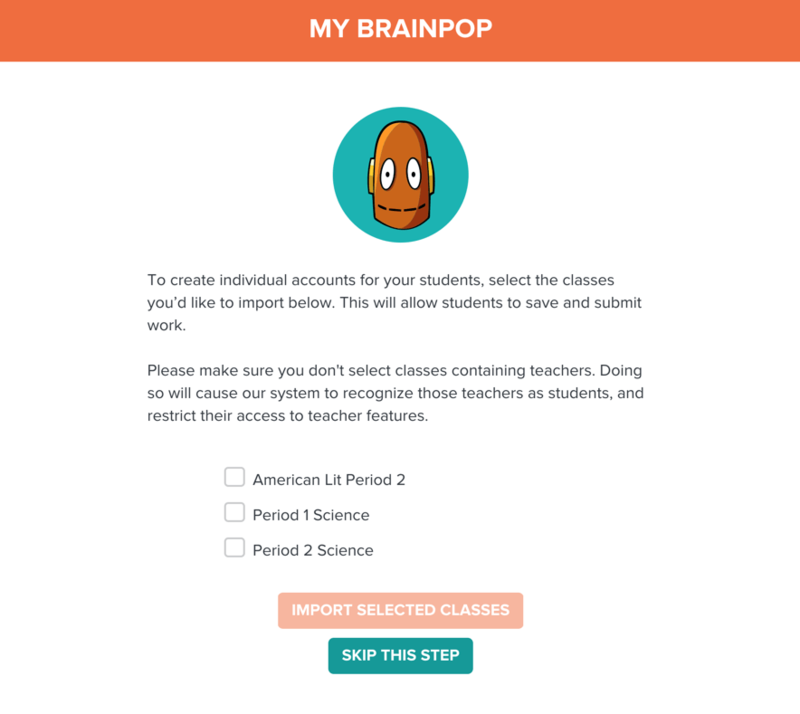 If you set up classes in My BrainPOP before you started using G Suite SSO, you can match existing My BrainPOP classes to your Google Classroom rosters. The first time you log in with G Suite SSO, a dialog box will prompt you to match your existing classes. 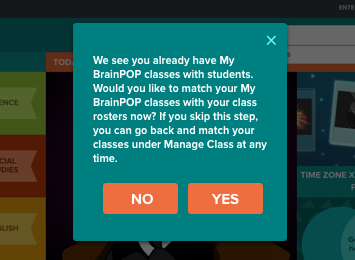 Choosing Yes prompts you with a list of your existing My BrainPOP classes and your available Google Classroom classes. Matching classes links the existing My BrainPOP student accounts for SSO through Google Apps. You will see a list of Google students for each class along with a dropdown of the My BrainPOP student accounts available for matching. If you selected multiple classes for matching, you can match each class individually. 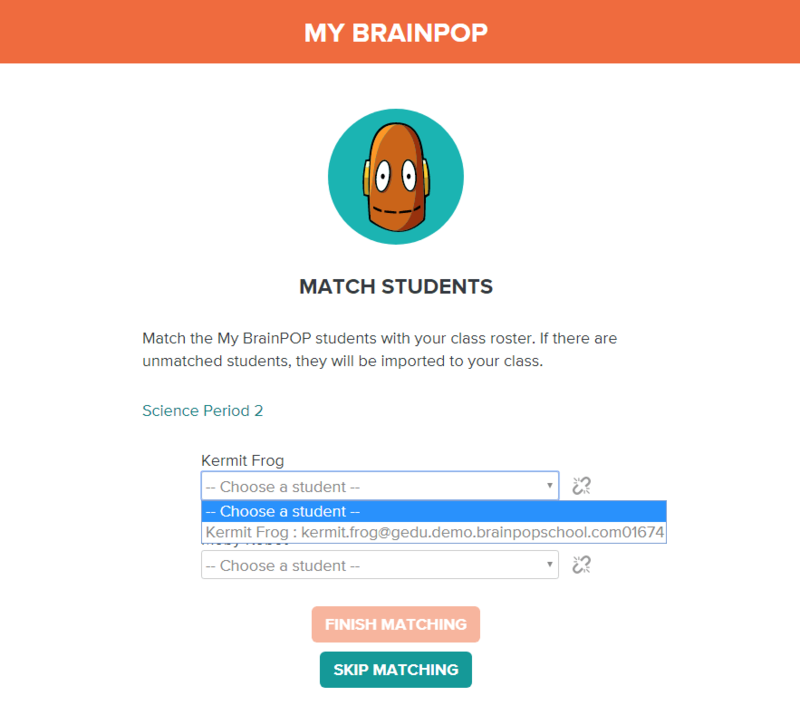 After matching classes, you will be prompted to import any existing Google Classroom classes that have not been matched to My BrainPOP classes. This is optional. You can also find these instructions in the Matching Google Classroom Rosters with Existing My BrainPOP Classes Step Guide. I have a classroom subscription and I use Google Classroom. How do I roster my students? Only school and districtwide subscriptions are eligible for Google Classroom rostering at this time. If you have a schoolwide subscription, but your G Suite domain is districtwide, your district administrator needs to install and set up the G Suite SSO app before you can import your classes from Google Classroom. You need to log in with G Suite to see the Import Classes option. You also need to have active classes with students in Google Classroom. Not at this time. You can Update Roster to add new students to your classroom. 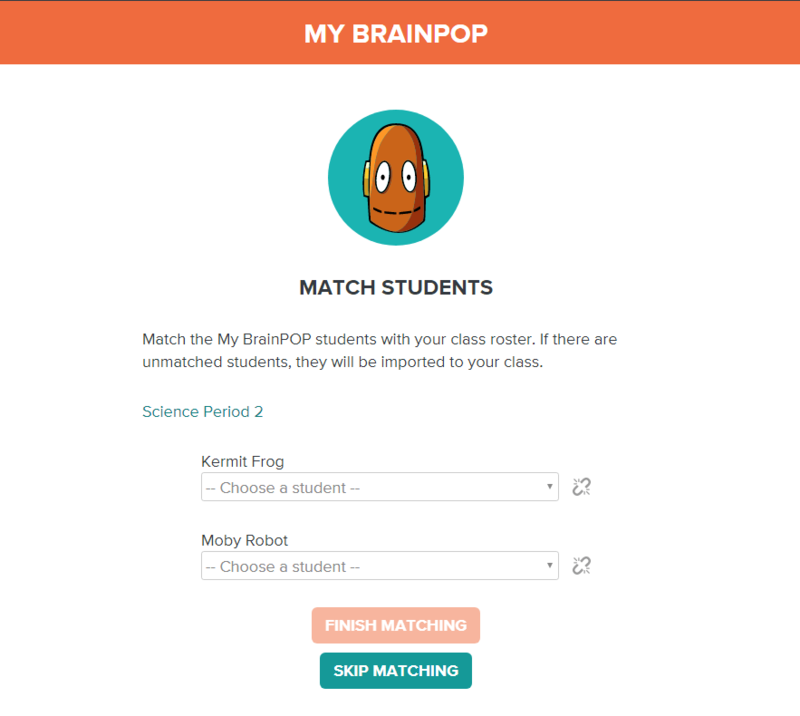 The ‘Match Classes’ option only appears when you have created a My BrainPOP class with an educator code and have existing Google Classroom classes that have not been imported or matched previously.